The Greeks, and later the Romans, often idealized physical perfection, and nothing shows this quite as clearly as the Royal Muscle Cuirass. This cuirass depicts a sculpted male torso in blackened steel, while featuring simple brass ornamentation. 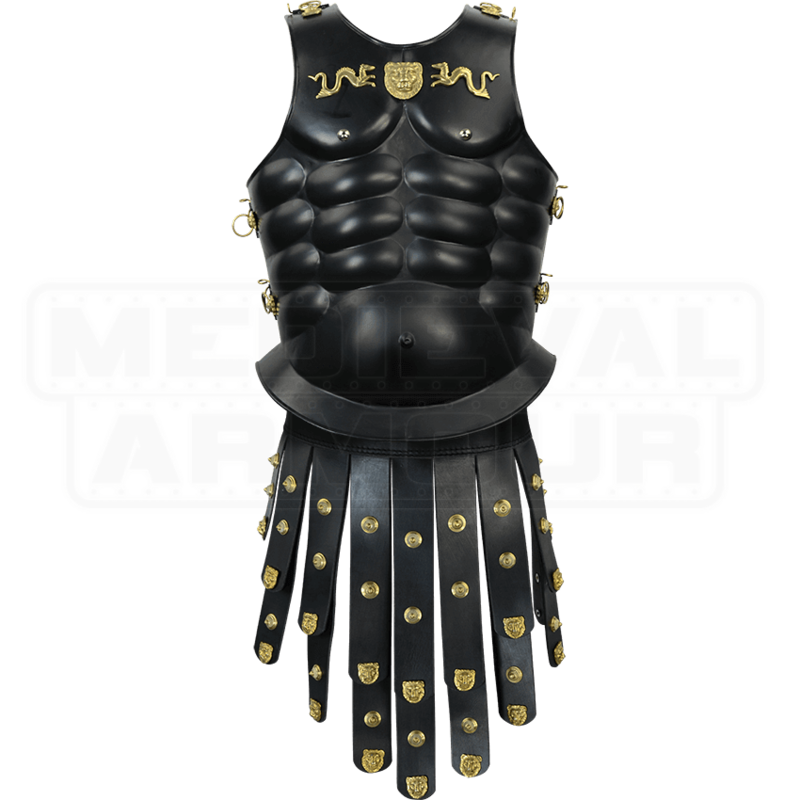 This particular Greek muscle cuirass is modeled after the type of armor that would have been favored by Corinthians, particularly their warriors who were in service to the ruling or royal families. The cuirass features what many Greeks would have considered the perfect and ideal physique of a male god, highly muscled and clearly defined, from the pectorals to the abdominals. Brass loops and fasteners adorn the shoulders and the sides, on both the breastplate and the back plate, providing a secure way to fasten the two pieces together. A brass lion emblem sits at the center of the chest, flanked by two brass serpentine dragons. 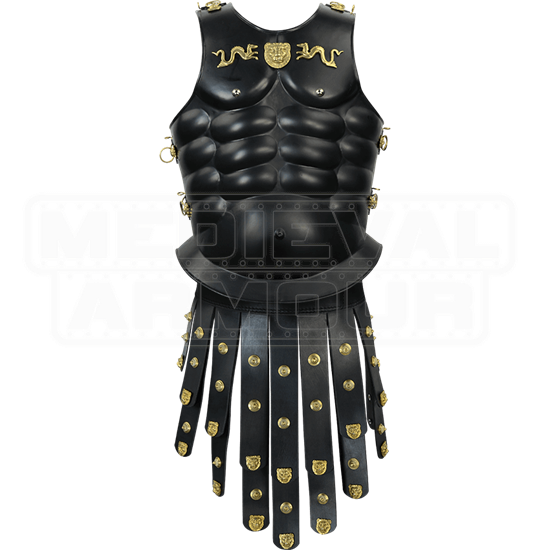 Included with the cuirass is a leather tasset belt that features black leather straps set with brass plaques. The Royal Muscle Cuirass is a fantastic example of historically accurate Greek armor that is both visually impressive and fully functional, making it a great piece that any collector, enthusiast, or re-enactor would love to add to their personal collection and armory.